OTTAWA - Maxime Bernier's closest caucus ally says he has no plans to join the renegade Quebec MP's new party. 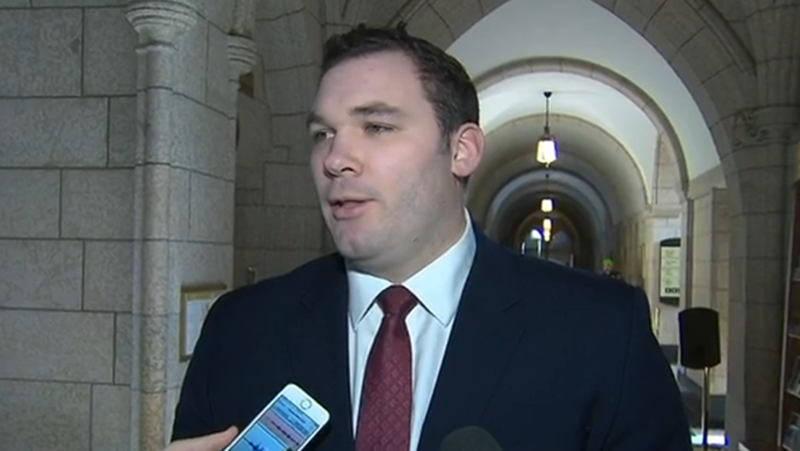 Conservative MP Alex Nuttall played a key role in Bernier's unsuccessful Conservative leadership campaign last year that saw him lose by the narrowest of margins to Andrew Scheer. And he's continued to be a close ally of Bernier's since then. But Nuttall says he was elected as a Conservative and won't even broach the idea of joining Bernier's yet-to-be-formed party with his constituents, who narrowly elected him as MP for Barrie-Springwater-Oro-Medonte in 2015. "I would have to go and speak to my electorate about it and that's not something I'm going to do," Nuttall said in an interview, adding that he is committed to representing his constituents as a Conservative MP. "You also have to remember that I was elected by 86 votes and the reality is without having the Conservative brand there, I would not have been elected." Nuttall said he recognizes that he brings something to the table, but so does the party, and "when you add it together, I won by 86 votes, and I have to honour that commitment." Last week, Bernier declared open war on the Conservative party, abruptly announcing that he's quitting the party and calling his former leader and colleagues "intellectually and morally corrupt." 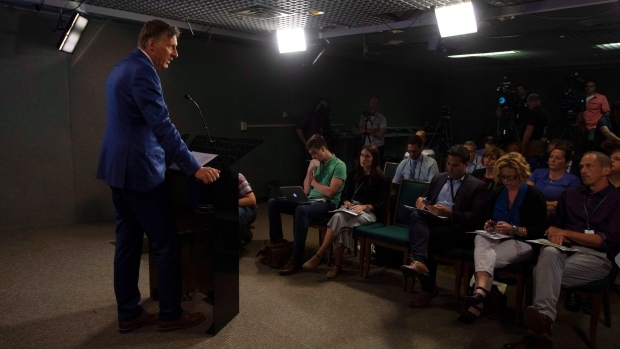 Bernier's bombshell news conference took place while the Conservative policy convention was getting underway in Halifax and followed months of turmoil - much of it on Twitter - between himself, Scheer and many Conservative MPs. A source close to Bernier told The Canadian Press last week that a number of Conservative MPs tried to contact the outspoken MP the week before his announcement but their phone calls were left unanswered. Nuttall said he was among those who tried to contact Bernier, whom he often calls "as a friend." 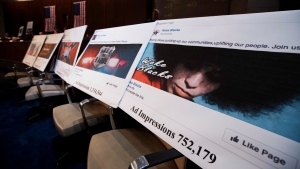 But they ended up playing "phone tag." When he worked with Bernier on the leadership, Nuttall said the pair prided themselves on being "about the ideas" - such as small government, eliminating corporate welfare and respecting the electorate, all things he said he will continue to advocate for while remaining in the Conservative party. So far the majority of supporters who backed Bernier's bid for the Conservative leadership have said they want nothing to do with his plan to start a new party. Barrie-Springwater-Oro-Medonte MP Alex Nuttall holds an impromptu news conference in Ottawa, Ont. on Wednesday, Jan. 31.